I think it's interesting when people say a record "sounds digital" and make other statements along those lines. The sampling rate on a CD (for example) is 44.1 kHz. That's each second divided by 44,100. I'm not saying there's no difference; rather, I don't know whether my ears (or anyone's) are sensitive enough to identify a "digital" source with absolute confidence. Undoubtedly, people will argue they can, and maybe so, but I have my doubts. Now, a bad pressing is another thing. Too much compression or a bad mix can ruin an LP. But these are problems that plague LPs pressed from analog sources, too. I was really disappointed by Dinosaur Jr. - Give A Glimpse Of What Yer Not (for example) and that was recorded and pressed in 2016! The compression is horrible on the LP and I think the digital formats are superior. As people often write on Discogs, no record sounds bad in isolation. The question is whether this pressing sounds superior to other pressings. I have only heard this particular pressing (plus CDs, back in the day). It sounds good to me: quiet, and reasonably dynamic. Not shrill, and not muddy. 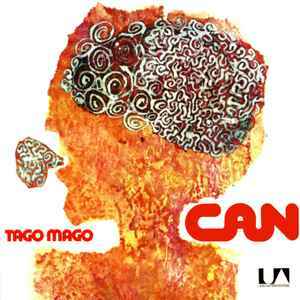 Most of us have not heard a pristine copy of the 1971 German Can - Tago Mago. If anybody here owns or has heard both a first pressing and this 2014 remaster side-by-side, I would be very interested in reading a comparison. (Actually, I would love to hear the 1971 LP and compare the two myself!) I can't say this pressing is "as dynamic" as a 1971 pressing. I can't say it's "more (or less) quiet." I certainly can't say it sounds "digital." Taken in isolation, I think this is a pretty good sounding pressing, especially if you're not inclined to spend a lot more for an original LP. For me, the sound of this record is OK, but there are pressing defects on mine. Tago Mago shades Can's best album as the experimentations and hypnotic-funk drumming are at their peak. Best piece: Oh Yeah! tho' you'll also have a lot of fun with the trio of longform avant-garde jam experiments. 5-stars: outstanding, never gets old, best of the best. 4-stars: very good with plenty highlights, tho' some weaknesses here and there. 3-stars: worth checking out but with reservations. 2-stars: not recommended. Might have potential, it's just not much good. 1-star : everything is skippable, worst of the worst. Mine sounds awesome. No noises, it's dynamic, bassy and detailed etc. My copy matches this one exactly in terms of the labels and the first set of matrices listed and has the flip top cover, but it doesn't feel textured to me. How pronounced is the texture? Has anyone ever seen a non-textured cover for this release? Just picked this up but have no way to spin it at the moment. Can anyone speak to the quality of theirs? This and other 1989 releases are the best way to hear Tago Mago on CD. It's clear and sharp with just the right amount of bass. Later editions tend to be flat and bass heavy. I don't know what's going on with CD mastering these days, there is just way too much bass and noisy sound levels without any definition. The 'brick wall' effect. This pressing is great. If you need an alternative to the high prices of the original presses these late 70's/early 80's reissues are the way to go. Psychedelic, Acid Rock by NickSch.